My proposal is a structure that has been planned so as not to obstruct the view of the impressive nature that surrounds it. 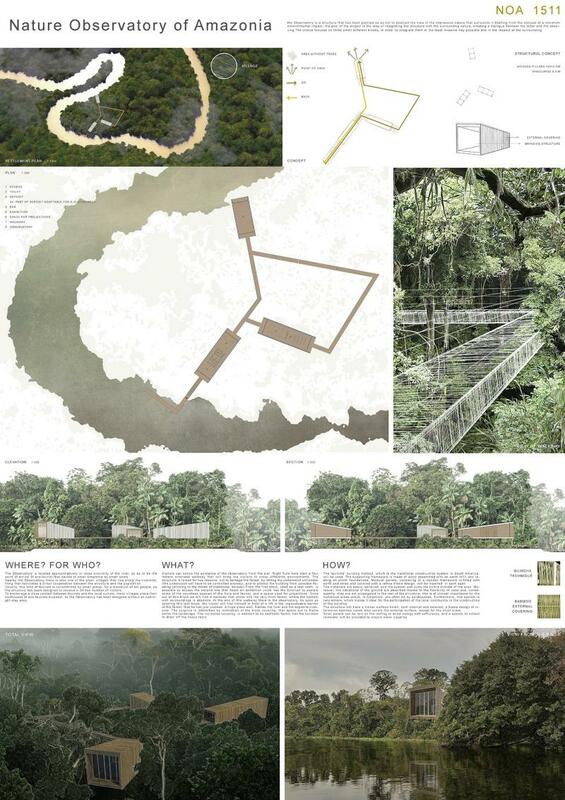 Starting from the concept of a minimum environmental impact, the goal of the project is the idea of integrating the structure with the surrounding nature, so the choice focused on three small different blocks. From a pier start four meters overhead walkway that will bring the visitors to cross differents environments. The structure has been studied with 'quincha' building method.